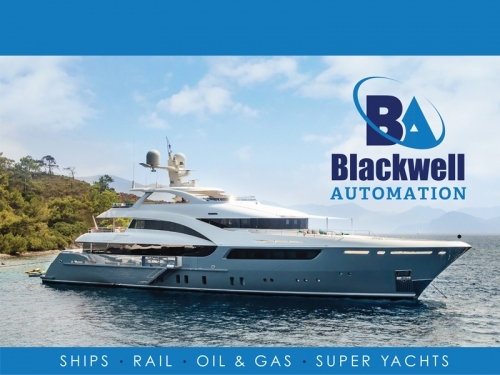 Blackwell Automation Ltd provides tailor made solutions for your automation and control system needs working in a variety of engineering markets. Using industry proven commercial off-the-shelf hardware and software that best suits your application. They are automation, monitoring, instrumentation and process control specialists and offer retrofit upgrades for existing propulsion control systems, alarm and monitoring systems, power management systems, UMS (dead man), valve controls and many more. They have a high quality, efficient and competitive service using the best automation equipment / practices available that meets the requirements of their customers. Their engineers have experience and expertise developing / designing and commissioning a wide range of applications, not just their own products, but also older vintage control systems where the original OEM is no longer supporting their equipment.